Deborah Roberti designs beading patterns. 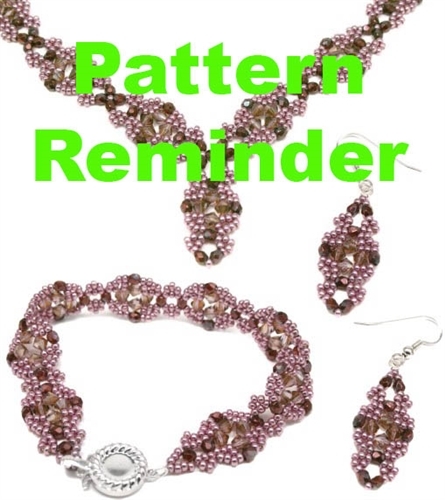 Her website offers some free and some bead patterns available for purchase. I highly recommend her bead patterns, not only are they extremely affordable and easy to follow, but they are very versatile as well. This category highlights some of the possible variations of her Venetian Pattern Collection. This collection is available for purchase on the www.aroundthebeadingtable.com website - click here for the collection.